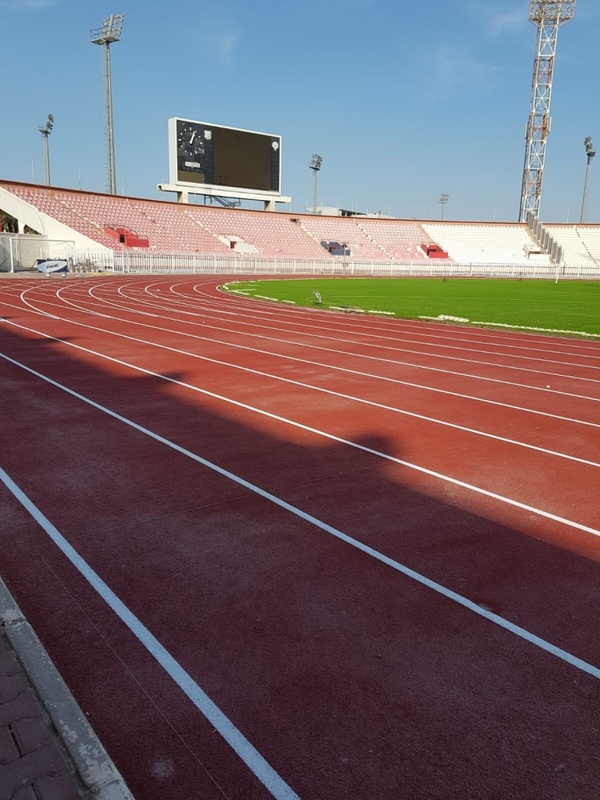 Winter can take its toll on your athletic track and before you know it, spring is on the horizon and the event calendar will start filling up with bookings ahead of the athletic season. 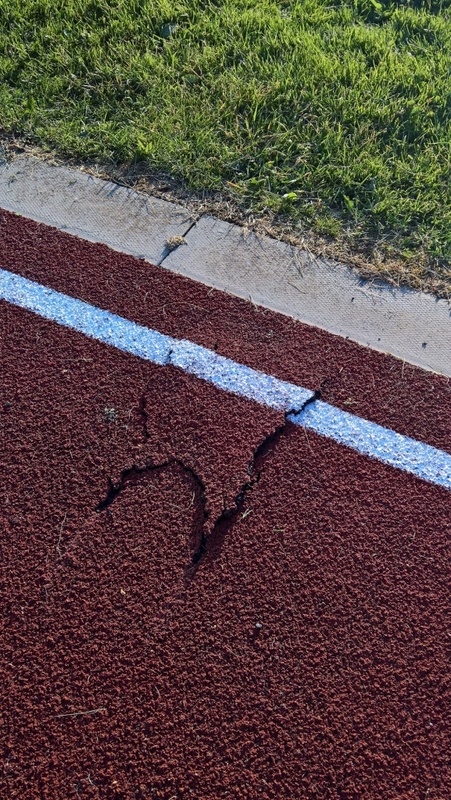 Following this checklist will ensure your track is safe and ready for a busy season of sports. The safety of your track is paramount. 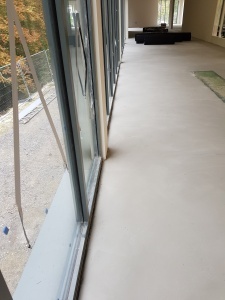 Small repairs and loose granules may seem like small issues at the beginning, but if left, these small problems can result in much larger scale repairs and worse, cause injury to users of the track. Yes, this comes under the umbrella of maintenance but every 1-2 years, we recommend you get your track surface professionally cleaned. 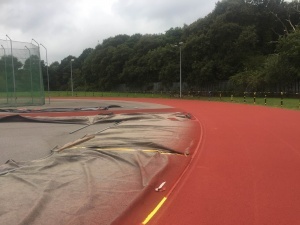 The advantages of this ensures the track surface is clean from any moss and contaminants to avoid any slips or trips on your track. Check what events you’ll be running at your event. 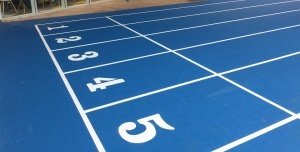 Do you have all of the equipment prepared and correct track markings? 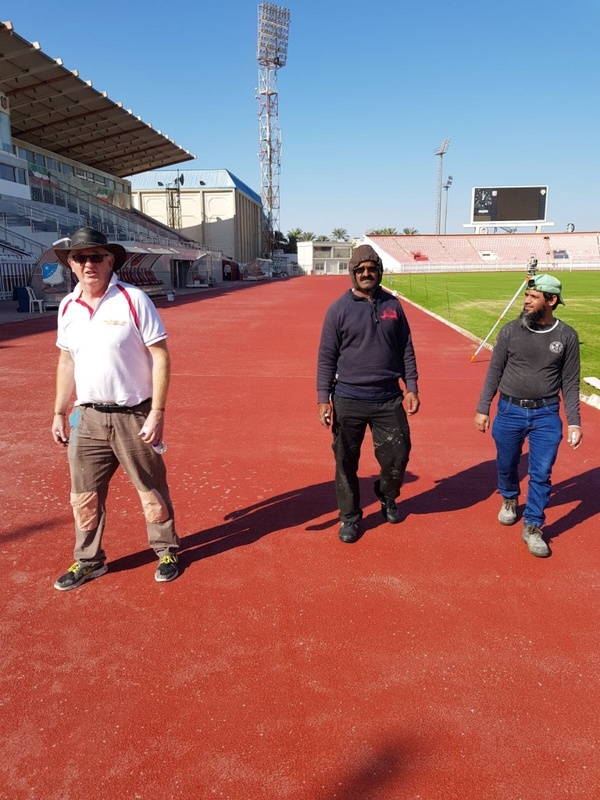 White Line Services will set out and paint tracks to the latest UKA and IAAF standards to ensure your track is event ready. There are new regulations in place from 2018 for hurdle markings, so it’s always worth checking your current markings are up-to-date before hosting any events. 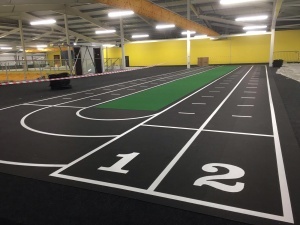 See guides online for up-to-date track markings on the IAAF website or drop us a message and a member of White Line Services team would be happy to help. This entry was posted in blog on February 21, 2019 by Marc Adams. 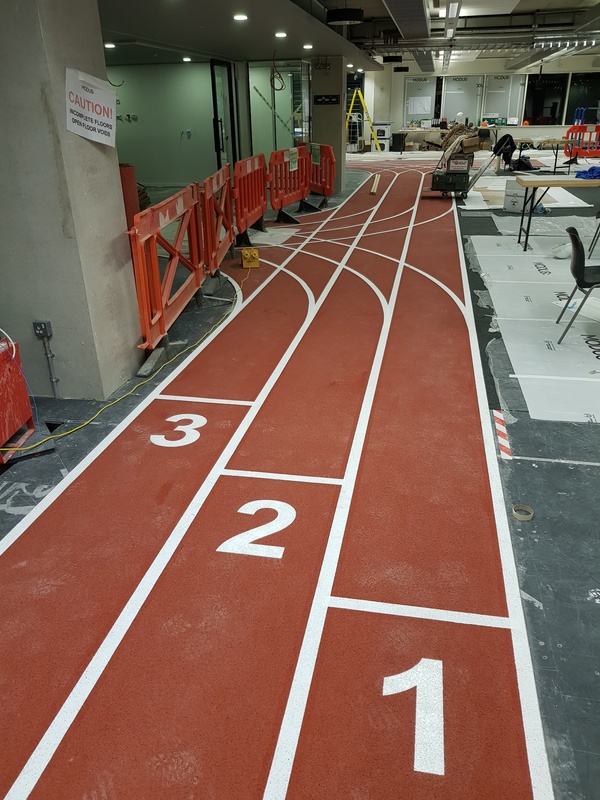 Our last job of 2017 was to carry out the line markings around an office block in the Queen Elizabeth Olympic Park, London. 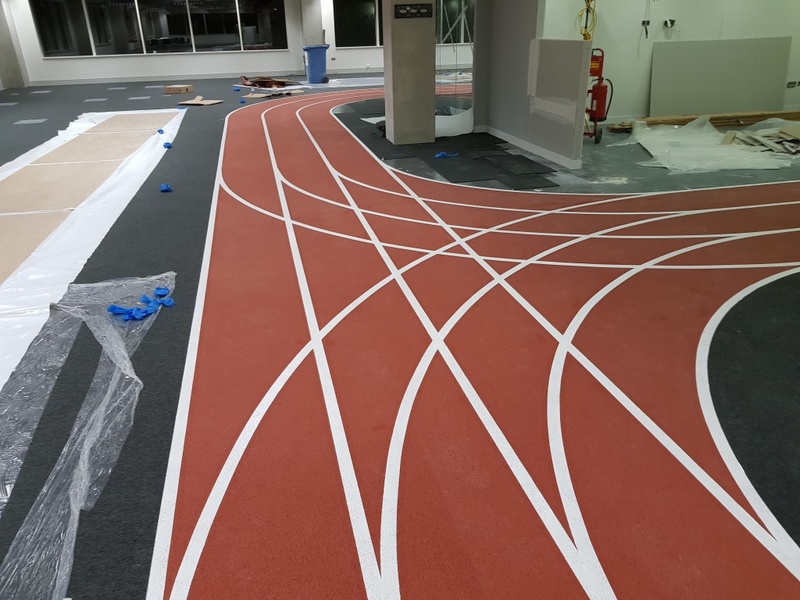 The customer asked for a 3 lane mini athletic track to run around each section of their office. 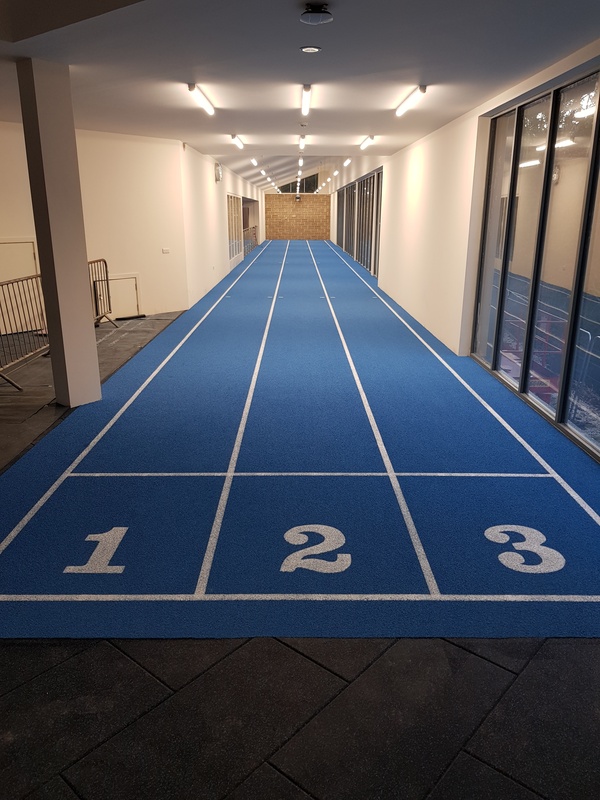 This entry was posted in blog and tagged Athletic Track Line Painting, indoor sports surface, line markings, White Line Services on January 3, 2018 by Marc Adams. 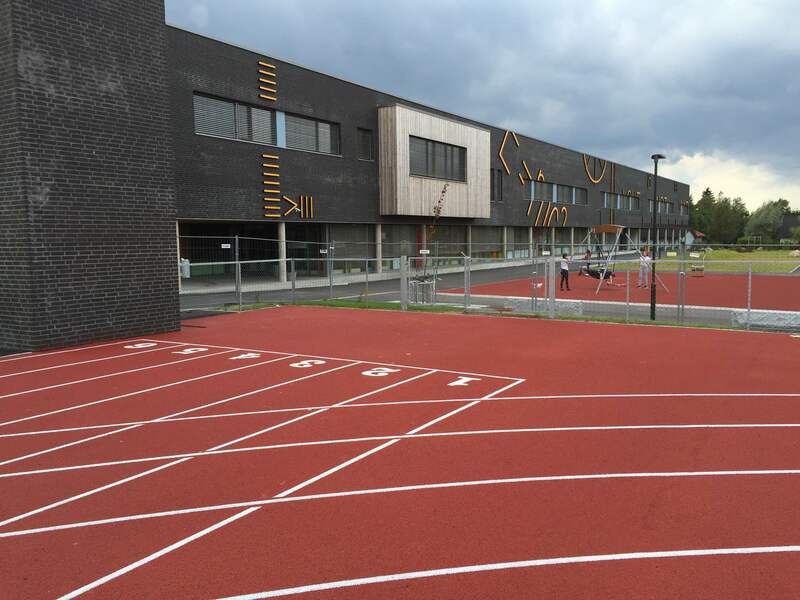 Over the course of 2 weeks, White Line Services installed a new blue athletic track surface to a school in Dorset. 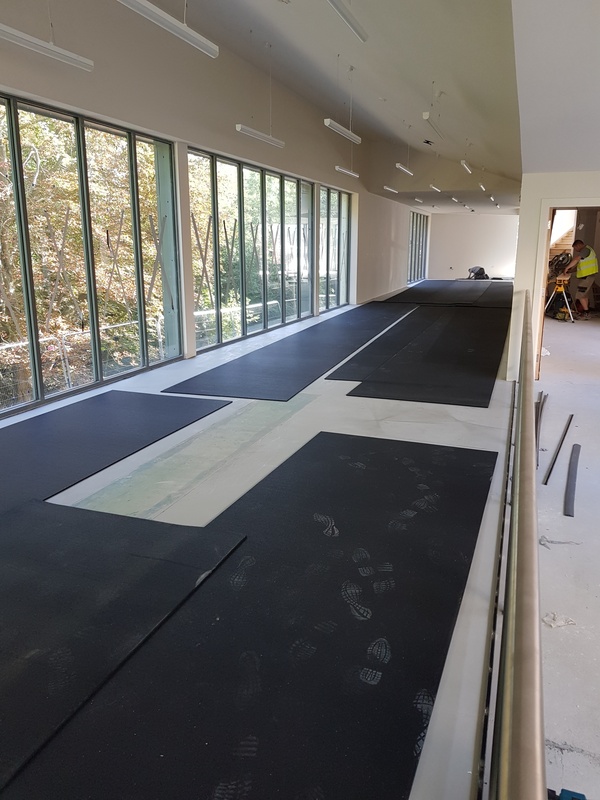 The below pictures demonstrate the stages of the installation, starting with the initial screeding of the concrete flooring to iron out any minor defects and improve overall levels. 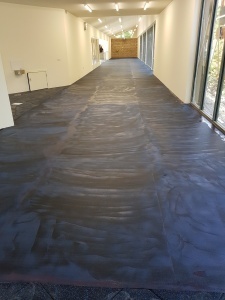 Once this layer had set, the next step was to install the base layer 10mm rubber shock pad that ran the length of the area. 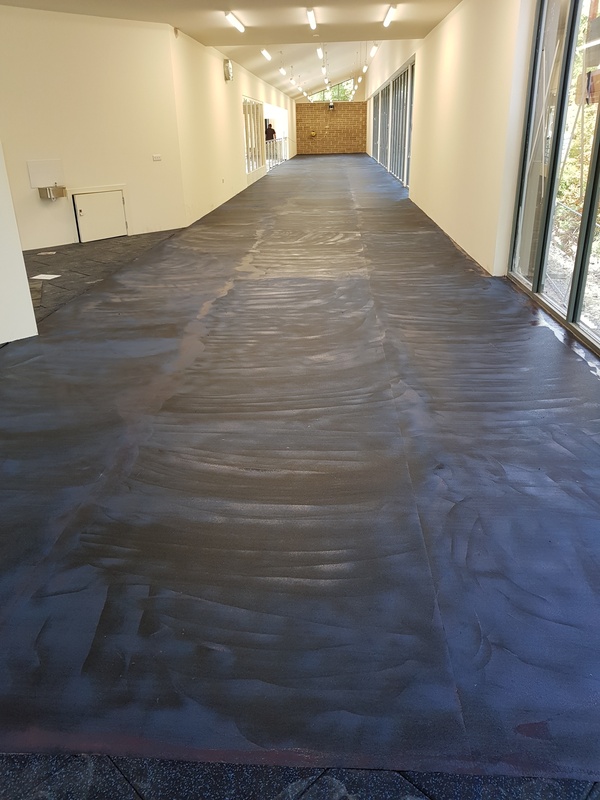 Once the base mat layer has been successfully stuck down, the sealer coat layer was applied and left to cure, as shown below. Then finally, the top layer 3mm flowcoat system was applied and left to cure. 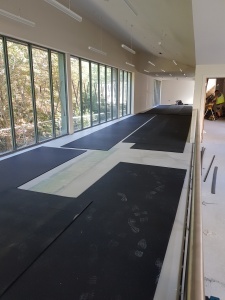 Once any excess EPDM granules had been swept away, the surface was then ready for painting. Below you can see the finished blue 3 lane sprint track. 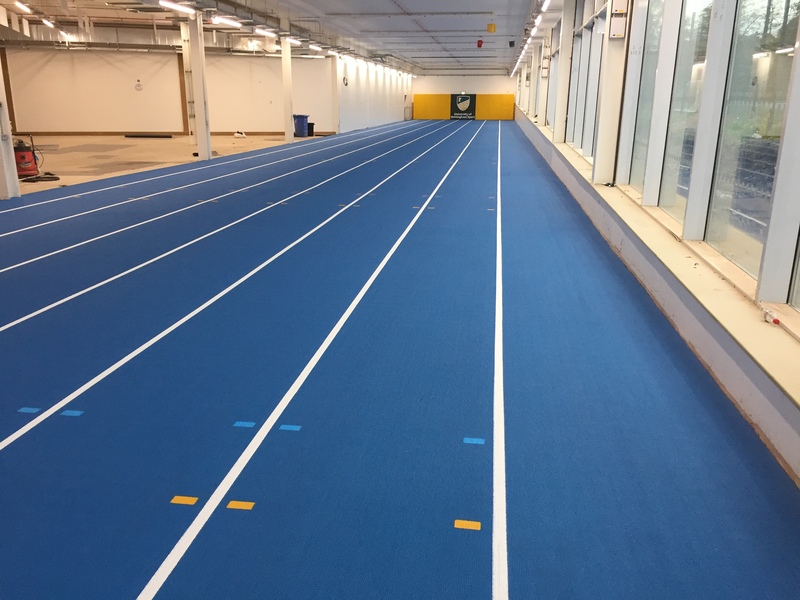 This entry was posted in blog and tagged Athletic Track, indoor sports surface, New track, sprint track on November 27, 2017 by Marc Adams. In July, we were busy at the Birmingham City Football Club based at St Andrew’s Stadium in Birmingham. Ahead of their upcoming games, we carried out washing to the area of blue synthetic track which surrounds the football pitch. Images shows mid way through the surface washing. The narrow area of synthetic medium blue surface runs the length and width of the football pitch measuring approx. 2.5m wide. White Line Services have specialist cleaning machines designed to clean a variety of different areas. 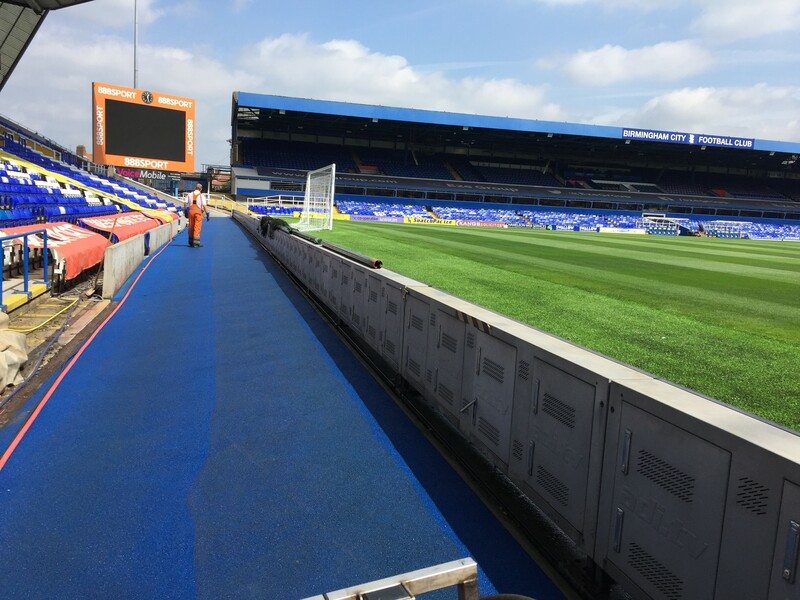 The area at Birmingham City Football Club was a narrow but long area and our team took 1 1/2 days to clean this area to a high standard. This entry was posted in blog and tagged Birmingham City Football Club, Synthetic Cleaning on August 3, 2017 by Marc Adams. 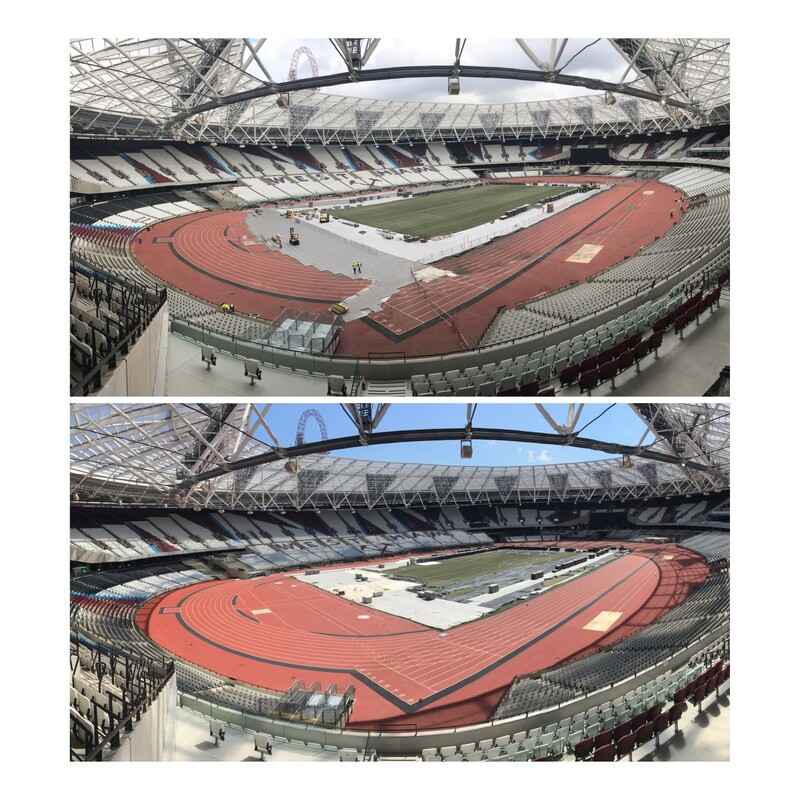 The team at White Line Services recently carried out track washing and repairs to the Queen Elizabeth Olympic Park Stadium in Stratford, London. 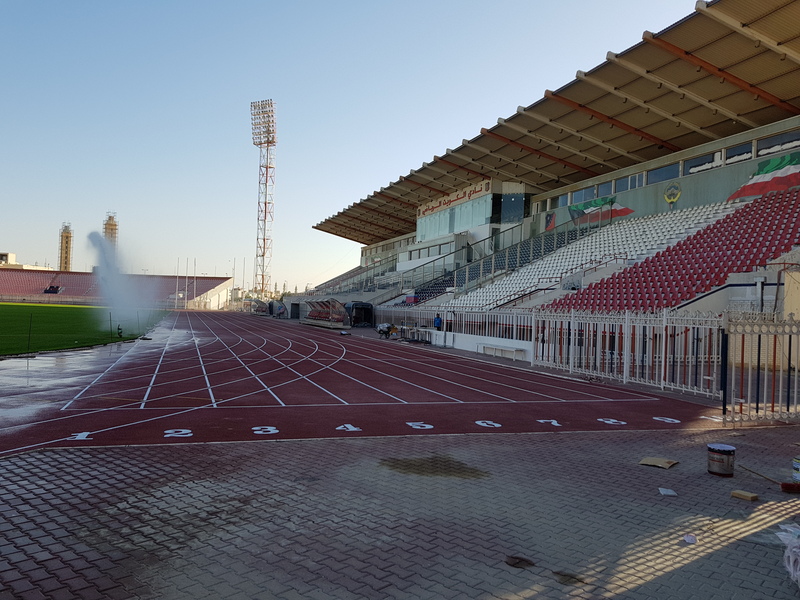 With only a few days to carry out the work, 2 teams worked around the clock to get the track cleaned ahead of the upcoming sporting events. We are very honoured to be helping prepare the track for some of the most prestigious events in the sporting calendar for 2017. One event in particular, the London World Championships in August, will be Usain Bolt’s last ever competition before he retires. Hopefully he will win his 11th World Championship gold. 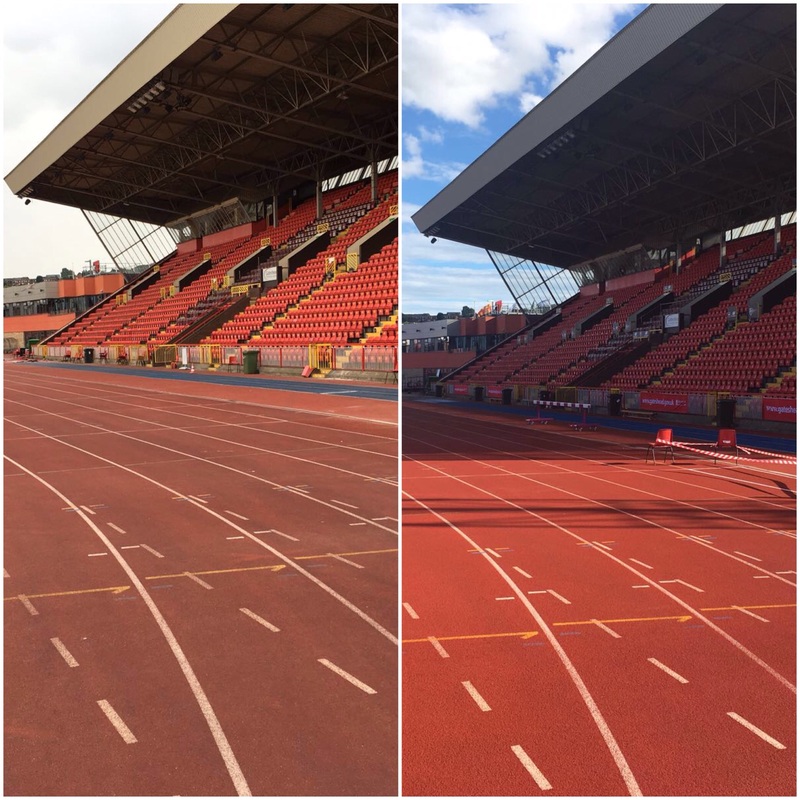 The above image shows a panoramic image taken at the beginning of day 1 before the cleaning and the second at the end of day 3 after the cleaning. This entry was posted in blog on June 12, 2017 by Marc Adams. 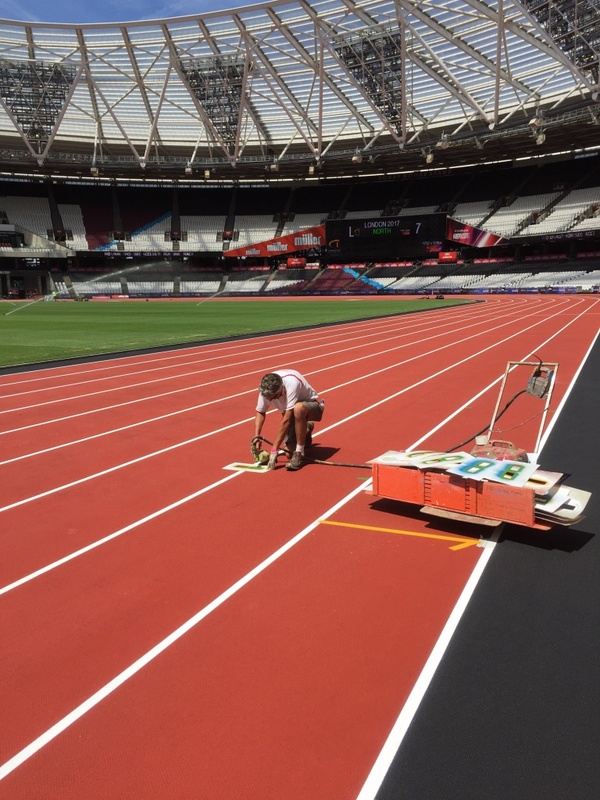 When it comes to cleaning your sports surfaces, White Line Services can remove almost all of the moss and algae with their bespoke water vacuuming track cleaning machines. The machines are equipped with high- powered water which cleans with pressures in excess of 2000PSI. This pressure is enough to remove dirt, grime and other contaminants including moss and algae, leaving a streak-free finish to your track. 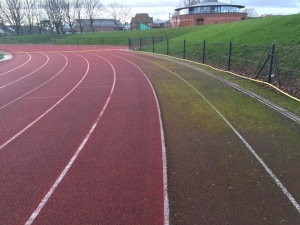 However, small spores of moss and algae will still remain on the surface of the track which causes moss to eventually regrow. 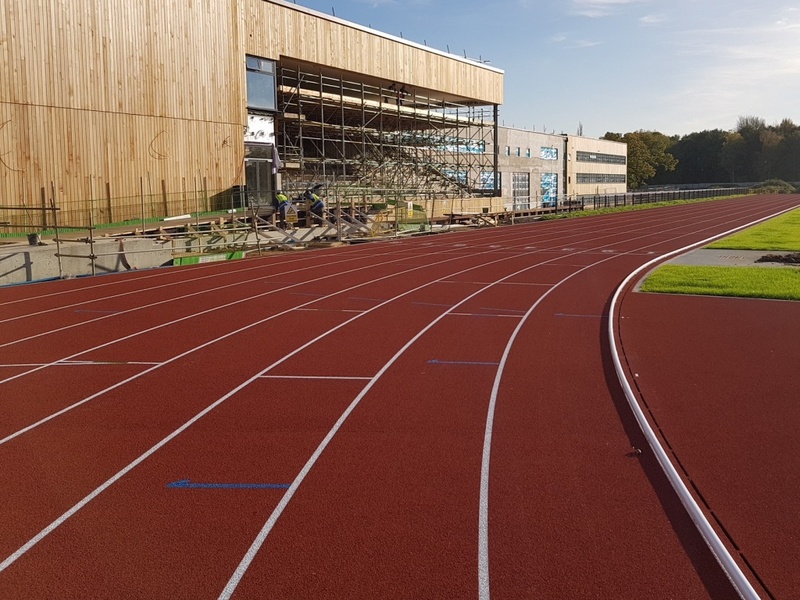 To ensure the longevity of your track and help delay and reduce any regrowth of moss, White Line Services offer a fungicidal wash treatment which can be applied to the track after the deep clean has finished. 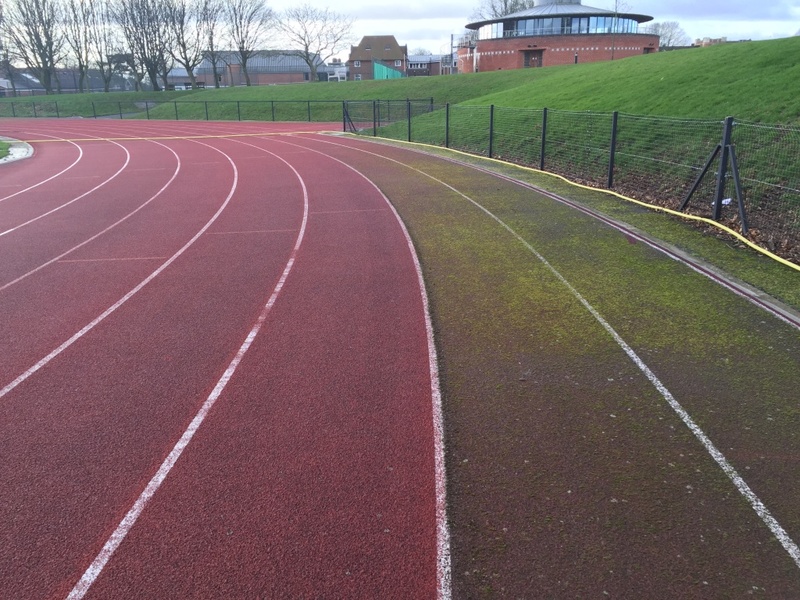 This services helps to eliminating moss and algae regrowth on your athletic track. If you would like any more information, please contact the office. This entry was posted in blog and tagged High Pressure Cleaning, Surface Maintenance on November 24, 2016 by Marc Adams. 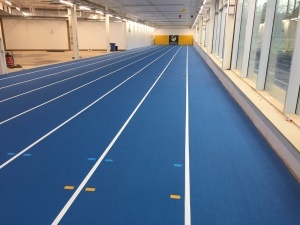 White Line Services line marked the indoor 6 lane x 60 m sprint track at Nottingham University. This entry was posted in England and tagged Athletic Track Line Painting, indoor sports surface, sprint track on November 2, 2016 by Marc Adams.